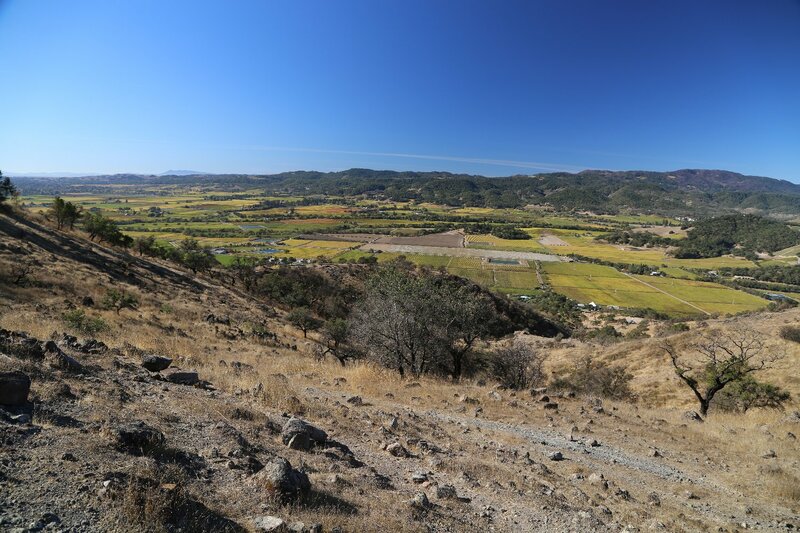 Waugh Cellars is a winery located on a rocky rugged piece of property with views overlooking both Soda Canyon and the southern Napa Valley. A visionary was needed to figure out how best to develop the property for wine use; that visionary was Ryan Waugh. He founded Waugh Cellars in 2001 at the young age of 25. Many 25 year olds are still trying to figure out what to do with their careers. 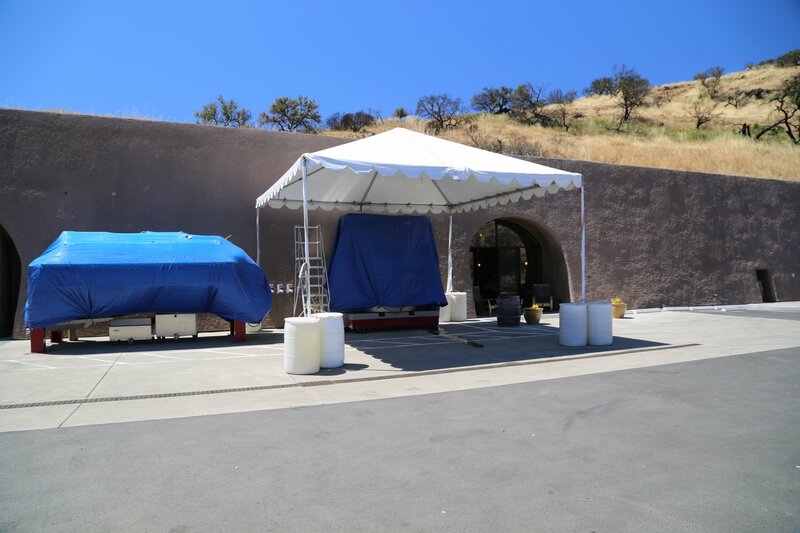 Presently, Ryan is manager for a 22,000 square foot completely underground-contained cave winery (including the crush pad) 900 feet above the valley floor in the famed Stags Leap District. 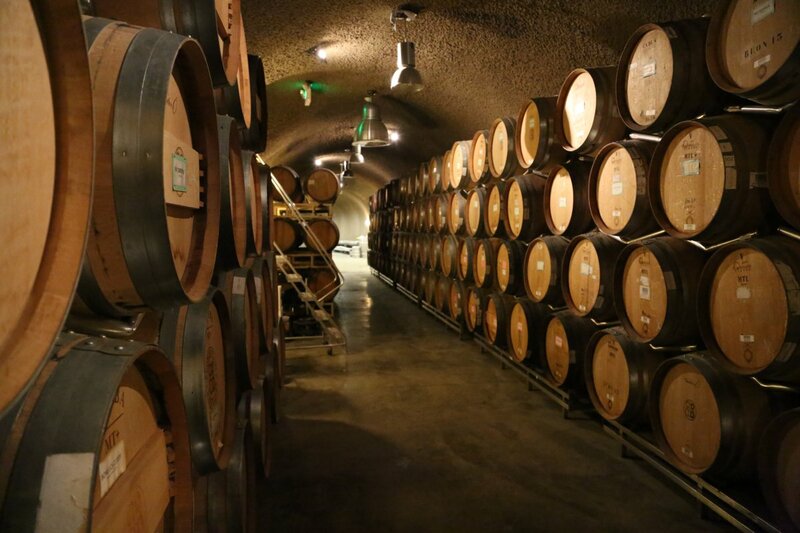 This winery, the Caves at Soda Canyon opened late 2013 and serves as a community winery partnership between four Napa wine making families. 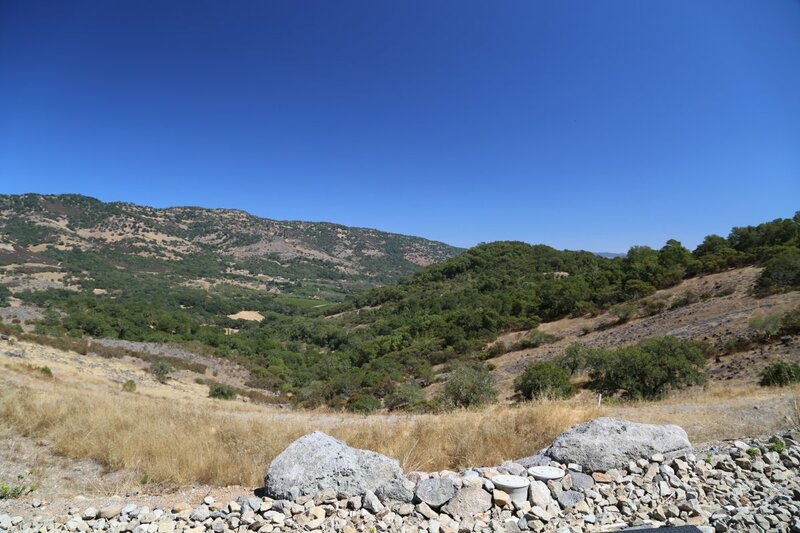 The views from this ridge top location are fantastic with full ‘aerial’ type spreads overlooking the entire southern and central part of Napa Valley. 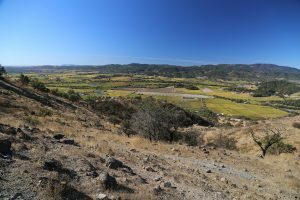 Hurdles with permitting issues having been finally overcome – guests can now enjoy the stunning views from a small hilltop on top of the winery. 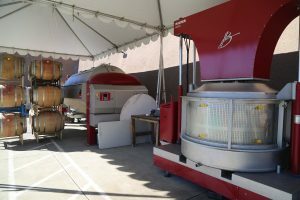 In the face of natural disasters, this winery has two strong advantages and it has already been tested twice since opening. Advantage number one is its underground location and advantage number two is it is built into what essentially looks like a giant rock pile. The winery survived the Napa earthquake of 2014 without loss of product (despite significant damage to the relatively nearby city of Napa) and during the Atlas Peak fire of October 2017, again the wine was safe as the fire did not come into the cave yet it burned all the landscape around the winery and even partially melted some of their outside tanks and the asphalt of their parking lot. Ryan is one of the new generation of Napa winemakers – young with plenty of enthusiasm combined with initiative, vision, international wine experience and a passion for working with vineyards. 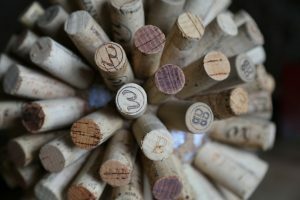 He was bitten with the wine bug while studying to be a Doctor at Santa Clara University. His girlfriend’s father inherited a large collection of wine and spirits from a wine shop. One day he asked Ryan if he likes wine and then promptly indicated to Ryan that he was not a fan at all, but that he had like 300 cases in his basement and Ryan was welcome to try a bottle. Ryan had never really consumed wine at this point so he stated the obvious which was he had no basis to form a decision on the matter. He was then instructed to pick out a bottle from his birth year, which turned out to be a Warren Winiarski Stag’s Leap Wine Cellars Lot 2 Cabernet Sauvignon from 1976. One bottle turned into 3 and Ryan was hooked from this point. 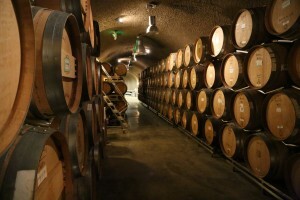 It is quite fortuitous to note that Ryan’s winery is located in the home appellation of Winiarski’s winery – Stags Leap. Almost immediately Ryan started looking for a wine job and a change in career direction; the Santa Cruz Mountains were close to Santa Clara and this was a good fit while at school. Other stints were at Chateau Potelle, (commuting 2 hours each way to this job shows just how serious Ryan was at the time), Trefethen, he was the first non-family employee at Del Dotto and he also worked several harvest in Australia. 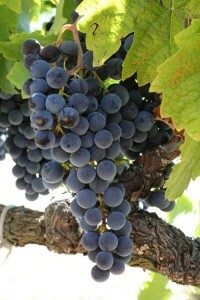 Like other winemakers, he knows the unique benefits of terroir and as a result sources fruit from a variety of locations within California based on where specific varietals grow best. 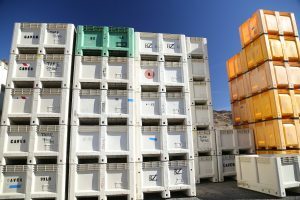 All his vineyard sources are locked up into very long contracts ensuring he is not excluded from this high quality fruit anytime soon, and in addition he actively provides the vineyard management for the many locations that his fruit is sourced from. In several cases he has come in and changed the trellising systems, pruning and a variety of other factors to meet his specifications. 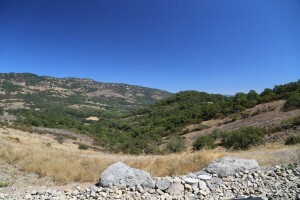 Case in point was for his Petite Sirah; it took 3 years for him to update the vineyard all the while it was producing fruit – however the quality was not up to his standards and no wine was released during this time. It is extremely rare to see this type of control and full vineyard management from wineries who exclusively source fruit. From the outside, Waugh’s wine is easily identifiable by the “W” on the label. From the inside Waugh’s wines can be characterized as smooth, with velvety mouth feels and tannins that are well structured but do not dominate the wine. In addition Ryan is a perfectionist for ensuring each cluster of grapes ripens evenly – he does no acid adjustment on his wines and if a wine ends up needing this adjustment, he will not release this wine commercially. As a result, the mouth watering flavors and feel of Waugh’s wines are all from natural acidity. The 2007 Chardonnay is from the Indindoli vineyard in the Russian River area of neighboring Sonoma County. It sees no malolactic fermentation, is barrel fermented and there was much stirring of the lees. As a result this is a “heavier” Chardonnay with aromas of citrus, tropical fruit with some citrus following to the palate and notes of toasted almond toward the finish. There is great acidity structure in this wine. We’ve had some big Petite Sirahs with huge tannins during this project; the 2006 is not one of them. It is sourced from Dry Creek in Sonoma County and is available in very limited quantities. Rich fruit aromas open up to notes of chocolate on the nose – great mouth feel. The 2004 Napa Cabernet combines fruit from two mountain vineyards and valley floor. As with Waugh’s other wines this has a smooth mouth feel, rich in flavor and aroma. There are nice flavors of blackberry fruit represented on the palate and notes of various spices which continue to linger well after you swallow. He also makes a Zinfandel and a cool weather Riesling from Santa Barbara County (not the warmer Santa Ynez valley, but rather on a ridge almost overlooking the ocean). Six Degrees is another very interesting project – from a Napa based winemaker who created a premium second label featuring neighboring Sonoma County Cabernet Sauvignon. This wine was created with two ideals in mind; produce a stellar Cabernet Sauvignon from Sonoma County and connect with each person who tastes it. This is a special wine that has the “it” factor Ryan speaks of. It is a wine that is easily on par with any of Napa’s best Cabernet’s; it has that special richness combined with elegance. It is sourced every year from a 2-acre vineyard located on the northeast side of the Napa/Sonoma Mayacamas Mountains above the Russian River Valley (Redwood Hill). 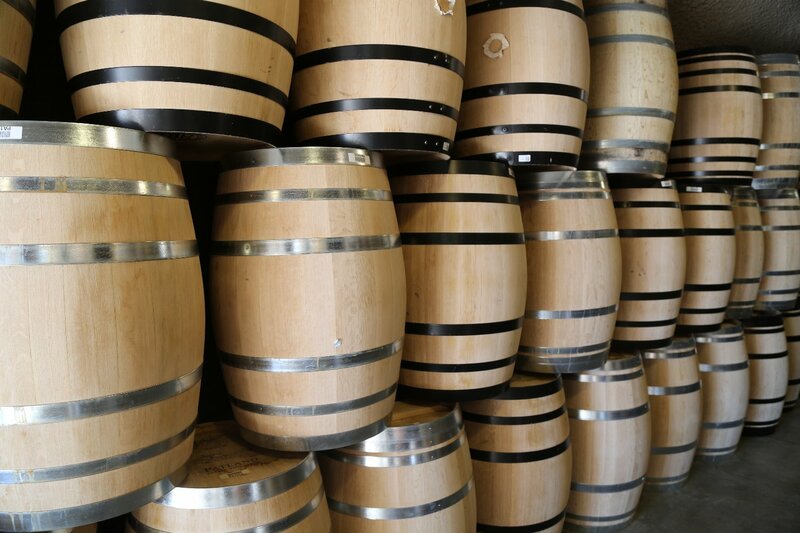 It is fermented in special barrels that are from trees in France, which are at least 150 years old. This ensures the wood grain is extremely tight and allows for very slow integration of flavor into the wine and does not dominate (yes these barrels are more expensive then the typical French Oak barrel! ).